Independent Apple Mac Help in London. Home » Mac Blog » Entertainment » Top 5 Christmas Presents for the Apple Home. Top 5 Christmas Presents for the Apple Home. If you’re looking for Christmas present ideas for a predominantly Apple household, why not consider buying something that compliments an Apple device? For this top 5 list, I haven’t actually tested any these items, yet I would be most excited and grateful to receive such things (Of course I’ll be forwarding this article to family / friends). With a leaning towards home and entertainment, there’s something here for everyone. I love the idea of controlling the colours and brightness of home lighting, from the comfort of the sofa, although some say the novelty wears off. The Philips Hue Starter Kit contains 3 LED bulbs and a bridge, which you connect to your router. Connect the bulbs to your existing light fittings, download the free app to your iDevice, and control the hue of individual lightbulbs, set them to a timer, and create multicoloured lighting ‘moods’. You can read a Which review of the Philips Hue here. The starter kit is only available from the Apple Store. 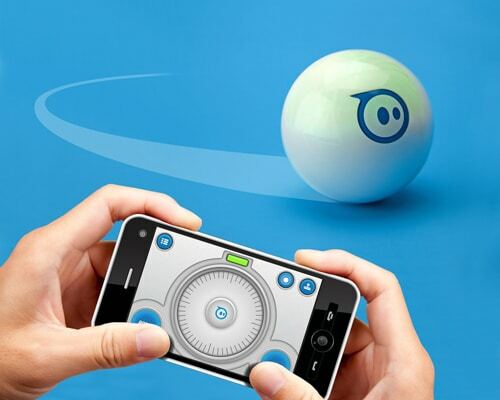 At first glance, it’s a ball you control via an iOS device. But looking at their Discover page, or their Developer Blog, and you realise there’s a lot more potential in this ‘programmable robot’. It has a number of iOS games which integrate with it, and digging deeper on their site there’s mention of augmented reality and Google Glass application. There’s the Sphero Original and the Sphero 2. The Original rolls at 3 feet per second, connects to your device over Bluetooth with a range of 50 feet, whilst the Sphero 2 rolls at 7 feet per second, and has a range of up to 100 feet. Nest Thermostat and Belkin WeMo Switch. What with all these energy price hikes, if one of my Christmas toys isn’t so much a toy, but will help me save on utility bills, I’d be very grateful. So, a double whammy here, 2 products that provide a means to monitor, regulate and remotely control electrical devices, and your heating. 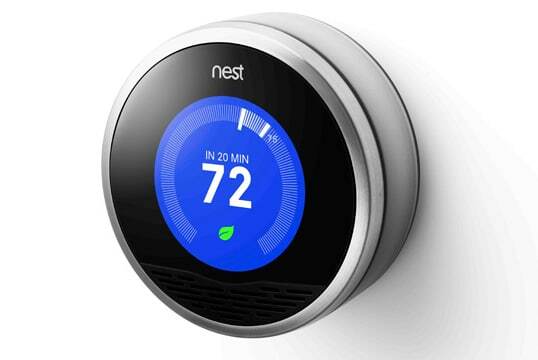 First, the Nest Learning Thermostat. This is a bit of anticlimax because, it doesn’t seem to be available here in the UK. Also, you’d need to check it’s compatible with your home heating system. However, it claims to be compatible with the majority of systems, and checking is supposed to be straightforward. It learns your heating habits, senses when you’ve gone out, and allows remote control via iOS or Mac OS X. It looks pretty classy, too. 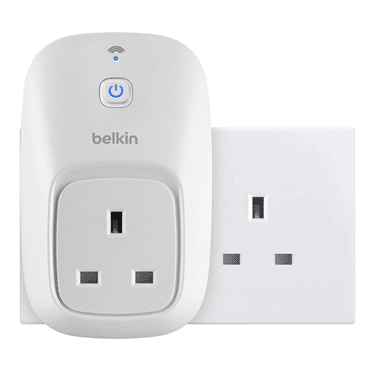 After plugging this into an electrical outlet, and connecting to your WiFi network, it allows you to control electrical devices remotely, turning them on of off, and you can set schedules. There’s also a WeMo Insight Switch, which can send you notifications if, say, you’ve left a heater on, as well as giving you estimated costs, and length of time a device has been switched on. But, this Insight version doesn’t seem to be available on Amazon or the Apple Online UK Store. On the Belkin site there’s a dealer locator, which indicates it’s available at various retail outlets. Both also work with IFTTT, which ‘connects home electronics with a whole world of online apps’. The WeMo Switch is available from Amazon for £29.99. 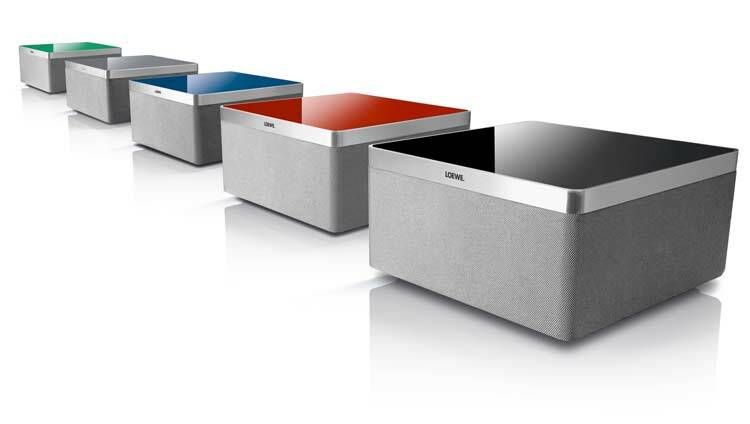 This AirPlay speaker earned 5 stars in a What HiFi review. It looks gorgeous, and apparently performs excellently. You can get different coloured inlays for it if you want. It works only with AirPlay capable software and devices, such as iTunes, iPhones, iPads etc. It’s 24cm square, 12.9cm high, which is pretty small, yet it’s rather powerful. You can pick it up from Amazon for £494. 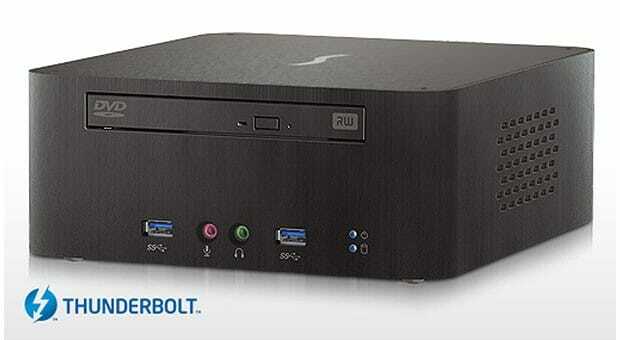 Sonnet Echo 15 Thunderbolt Dock. Have you got Thunderbolt port socket thingy on your computer that never gets used? Well it as a lot of potential, only it’s a shame that there’s still relatively few products out there that utilise it. And most of those products are for the high end pro. The Sonnet Echo 15 is, too, for the power user. With one cable this box gives you a multitude of additional connectivity including gigabit ethernet, firewire 800, USB3, not to mention configurable internal drives (up to 2x 480GB SSD), and a optical DVD burner with optional Blu-Ray support (which some might argue are becoming redundant). There are smaller alternatives out there, such as the expensive Belkin Thunderbolt Express Dock (the name implies portability, it isn’t. Reviews suggest it’s good, but expensive), the Matrox DS1, and the CalDigit Thunderbolt Station. These devices will be particularly helpful if you have a Macbook Air, with it’s lack of connectivity. But, the Sonnet is the daddy of them all, although arguably overkill for all but the video / audio pros. Find a Sonnet Dealer here. Colin provides the kind of training and support I have been looking for for years: sorting out problems on iMacs and devices, and showing you how to better use your machines. And, you don’t have to go on any courses; he comes to you so the session is tailor made. Highly recommended. In support, consultancy and tuition, Colin is personable, well informed, and is never defeated. If he doesn't not know, he will find out. Colin gives the best Mac support that I have experienced; he is very knowledgeable and understanding and, most importantly, works hard to find the very best solution for you. We take your privacy seriously. Please use this Privacy Preference Center to control how cookies from this website are used on your device.